Have You Ever Made a Mystery Quilt? Whether you have or haven't, do join in on the one that we launched this past Saturday (when this photo was taken at the Show & Tell Reveal Party for the prior mystery quilt). The new one is called Questionable Outcome and here are the details. Begin anytime and receive your first clue when you sign up. The five remaining clues will be available on or after the 10th of each month through October, 2015. We’ll host a Reveal Party for participants in December, 2015. 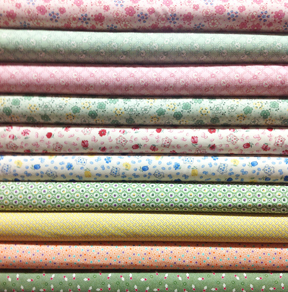 Cost to play: $20 or FREE with purchase of fabric for your mystery quilt top at Cortez Quilt Company. Come by the shop to see our Staff Picks and let us know if you need help choosing fabric for this fun project. We received some very sweet new thirties reproduction bolts last week to add to our collection. Come in and have a look. Reminder . . . we're having Youth Classes this summer. Click here for details. Are You a Stripper or a Scrapper? Beginning in June on the second Friday each month we will alternate hosting The Strippers and The Scrappers. 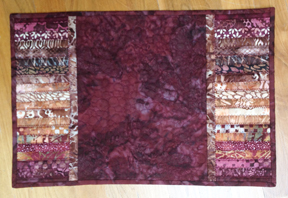 If you're a Stripper, you'll enjoy making a jelly roll quilt during class and if you're a Scrapper you'll have fun spending the day working on a scrap quilt (and get some free scraps as a bonus!). These two groups will be ongoing but you can join the fun anytime. Get the details on on the classes page of our website. Bring your unfinished projects, machine, and lunch. UFO Work Day is FREE but seating is limited so call 970-565-7541 to reserve your space. Remember . . . the deadline to register your UFOs is Tuesday, May 26th at 4 p.m.
Karen is traveling to International Quilt Market this week and will no doubt return with great new notions, patterns, and an update on the newest trends in quilting. Join us for After Market Review on Wednesday, June 3 from 5:15 – 6:30 p.m. Refreshments will be served. Please call us at 970-565-7541 to reserve your seat for this free event. Professionally bind the edges of projects large and small with BERNINA Binder Attachment #88 and Binder Foot #95/95C. Available in three sizes, the binder attachment folds and wraps a flat tape around a fabric edge, holding it in place for securing with stitching. The results are a first-class edge finish. Watch our tutorial video to learn tips for use. If you love chocolate you will love these kitchen towels embroidered with chocolate recipes. The recipes are stitched with small letters that you will learn to successfully embroider. These towels make great house warming or wedding gifts. 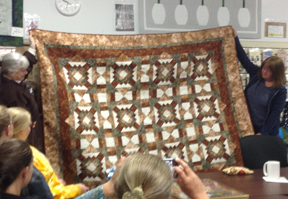 Please register by calling Cortez Quilt Company at 970-565-7541 or sending an email to Cindy. Take $125 off of a floor model cutting table if you act quickly. This is the Tailormade table that we've been using in our classroom. 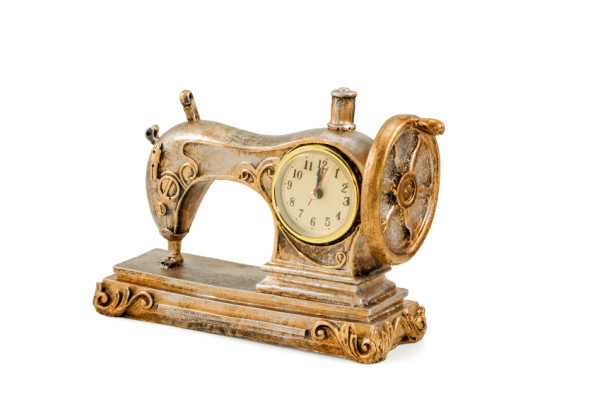 It's in almost perfect condition and ready for a new home - your sewing room perhaps? It has lots of storage on both sides and folds down to a small footprint when not in use. 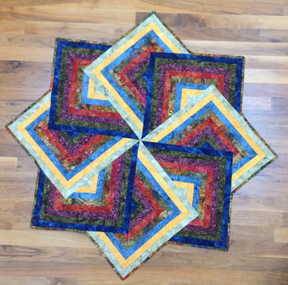 "Too many projects, too little time," is a common refrain among quilters. Here are three ideas for finding more time to sew. 1. One of our most creative customers (you know who you are) often says, "You can get a lot done in 20 minutes!" And it's true. If you have a dedicated space to sew or can leave your projects spread out over the dining room table without causing a family meltdown, simply sit down for a few minutes before work, before dinner, or before bed to enjoy whatever you're working on. 2. For one week track the number of hours you spend in front of screens (computer, TV, iPad, phone). Then, decide what percentage of those hours, if any, that you'd rather be sewing. 3. 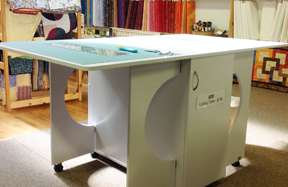 Block off a full day or half of a day and pack up your machine to join us here at the shop for open sewing. Any day that we're not having a class everyone is welcome to use our space to sew and socialize.